​Street food market, Dinerama welcomes Michelin-awarded chef, Asimakis Chaniotis to the venue, as he and Pied à Terre Founder, David Moore launch new concept restaurant, Cook Love at the popular Shoreditch site. Restaurateur, David Moore says, “We’re in an exciting position to bring together some of the UK’s freshest produce with our combined knowledge of running a Michelin-star restaurant to create an exciting new foodie experience for even more Londoners. Uniquely, components of dishes will be cooked in an oil drum BBQ to create a smooth and smoky flavour including the spring-inspired scallops, available to customers on launch. Currently, the shellfish are a crowd favourite at Pied à Terre which David and Asimakis anticipate to be a continued hit with Cook Love customers. Customers can find out more about Cook Love and opening times at the Dinerama website here. 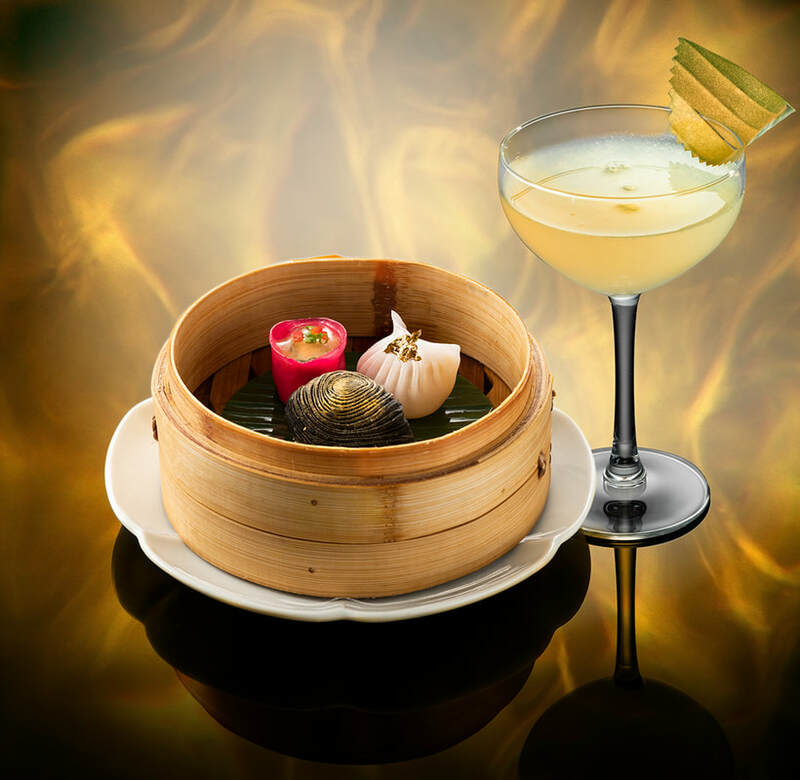 This autumn, Hakkasan will launch a limited edition golden menu to celebrate the annual Chinese holiday, Golden Week. Guests will also walk through a ‘river of gold’ as they walk throughout the restaurants, where low golden lighting will ripple across the wooden latticing of the cages, adding to the golden week experience. Gold dim sum and a gold dessert will feature within the exclusive eight course menu and will be available at both Hakkasan restaurants in London from Monday 24th September to Sunday 7th October. A highlight of the exclusive menu is the Golden dim sum trio which begins the eight courses, featuring a crispy lamb puff, chilli crab dumpling and har gau covered in gold leaf. Guests will also enjoy the Hakkasan Signature Peking duck with soy braised quail egg. The menu also includes Crispy suckling pig with spiced soy sauce and Steamed black kingfish fillet with saffron sauce in addition to Salted egg yolk fried rice. The Golden Week menu finishes off with a Touch of Gold, an exclusive black and gold dessert featuring poached kumquat, sesame crumble, black sesame tuile and a Venezuelan chocolate foam. Guests will be able to order the exclusive Golden Week cocktail, the Golden era, featuring Diplomático Planas white rum, pomelo, lemon and five spice, topped off with Louis Roederer Champagne and sprayed with gold mist. The Golden Week experience will begin as soon as guests step into the Hakkasan doors as both of the restaurants will alter the rippled lighting throughout the restaurants to become glistening gold, giving the appearance of a ‘river of gold’ when guests walk into the restaurant. To ensure the experience in the restaurants is enjoyable and efficient, Hakkasan has Mandarin-speaking staff and accepts China Union Pay, the Chinese credit card of choice, in addition to WeChat pay and AliPay for Chinese guests. Hakkasan Group has also launched WeChat and Weibo channels, a first for the restaurant group, in order to communicate directly to the Chinese community in London and across the globe. The Golden Week menu is priced at £88 per person, in tradition with China’s lucky number eight, for parties of two or more. It will be available at both Hakkasan Hanway Place and Hakkasan Mayfair from now until 7th October. All dishes will also be available to order a la carte. With Afternoon Tea Week now in full swing, people around the world are sipping on their favourite types of tea varieties from chai to green - making it the perfect excuse to enjoy a cuppa - wherever you are in the world. 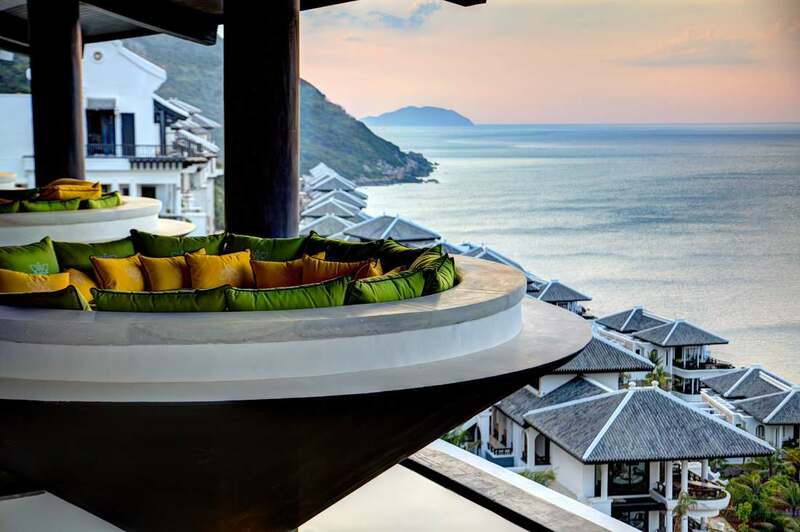 At Intercontinental Danang Sun Peninsula Resort, a five-star hillside resort and spa built into the myth-filled Monkey Mountain in Vietnam, guests will be honouring the week while enjoying some seriously Instagrammable views of the East Sea as seen from Citron, a striking hill-top restaurant located 100 metres above sea level. Here guests will enjoy a delicious fusion of Vietnamese and British cuisine and of course – tea, while dining at a unique Vietnamese conical hat shaped table suspended in mid-air. Vietnam is one of the largest and oldest tea-producing countries in the world and tea drinking has been a tradition for Vietnamese people for more than 3,000 years. In Vietnam, tea drinking is a ritual preliminary to conducting business, meditation and getting acquainted. Vietnamese afternoon tea usually includes green tea, scented tea and plain black tea with the type of tea often reflecting or complementing the weather. We can't think of a better place to enjoy afternoon tea and this resort will definitely be on our 'must-visit' travel bucket list. Traditional Afternoon Tea has been given a glam-rock makeover at K West Hotel in Shepherds Bush. Guests can swap traditional hot drinks for tea-infused cocktails, and even enjoy the treat late at night like a true rockstar from 10pm-12am. Who doesn’t love cocktails and cake at midnight? Formerly the BBC Building Kensington House in the 60s, an endless list of Rock ‘N’ Roll royalty has stayed, played and misbehaved at K West – Bob Marley and the Wailers, Bowie, The Kinks and Roxy Music, to name a few. Priced at £24.50 and served from 2-6pm in Studio Bar & Kitchen, the Glam Rock Afternoon Tea pays tribute to the hotel’s music heritage in a playful, fun and stylish way. The tea will be served on vintage record covers, with electric blue and pink teapots and teacups, adding some glam to the rock. 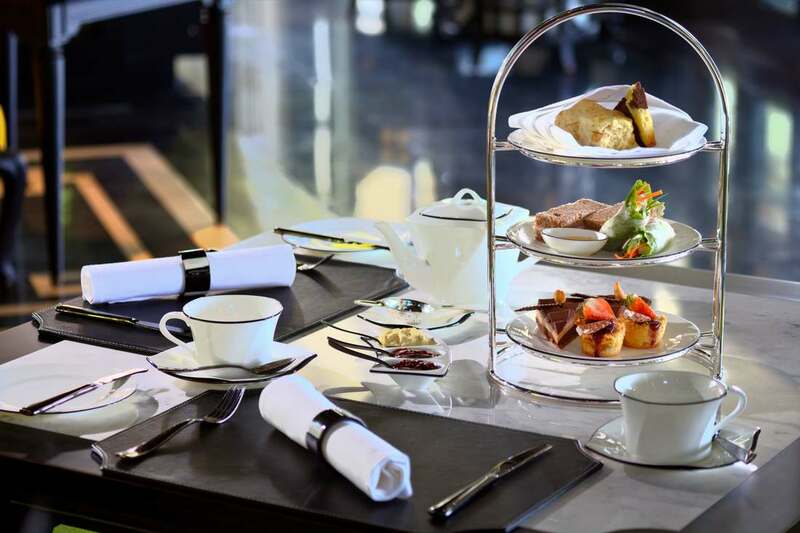 A Glam Rock Prosecco Afternoon Tea is available for £31.50, and the ‘Rock ‘N’ Cocktails Midnight Tea is priced at £36.50. This cocktail tea will include a selection of five shots of cocktails, or one cocktail each. All tipples will be made using different flavours of fruit tea, such as ‘Cherry Baby’ with Cherry Liquor, Fair Goji, Cherry Blossom Tea, blackberries and Cherry Bitters; or ‘Wig-Wam Bam’ with Green Mint Tea Absolute Raspberry Infused Vodka, grenadine, blackberries, mint leaves and lime. All of the Rock Tea’s will include fresh ‘rolling scones’ with clotted cream & strawberry compote, as well as a selection of delectable Red berry Macaroons; White Chocolate Nougat Lollipops; Hibiscus Turkish Delight; Nutella and Mascarpone on Peruvian maize bread and Chocolate “Smörgåstårta” Sandwich Cake. A selection of delicious, organic, pinwheel sandwiches is also included, such as Mozzarella and Pesto on sundried tomato bread; Smoked Salmon and Cream Cheese on golden corn bread and Honey Roast Ham and tangy Mustard Mayonnaise on spinach bread. The Glam Rock Afternoon Teas will be served in Studio Bar & Kitchen, which has also been designed to reflect the hotel’s rich music heritage. We were recently invited to the launch of ​MGallery by Sofitel's 'Sensory Storytelling', which is a new concept that will allow guests staying at Francis Hotel, Bath; Castle Hotel, Windsor; and Queen’s Hotel, Cheltenham, to choose their own scent to help create memories that live on past their stay. It has long been known that scent influences our memories, which is why MGallery by Sofitel has partnered with renowned scent historian Lizzie Ostrom from Odette Toilette, to create three new fragrance collections for each of its UK properties, inspired by the heritage, personality and unique story of each hotel. Referencing each hotel’s unique positioning and drawing from archival research on eighteenth and nineteenth century perfume formulations, guests will be able to choose their fragrance as a finishing touch for their room or suite. Continuing their Sensory Storytelling journey outside the room, guests can learn about some of the individual notes and materials that make up each scent, via smell and taste through a specially-created cocktail and afternoon tea. Working with AccorHotels' perfumery team, Lizzie Ostrom has helped create nine fragrances that each tell a story and bring to life a moment from British cultural history – from the fashionable beauty products of Regency spa towns to a bouquet inspired by the Victoria art of ‘floriography’ and an aroma inspired by Windsor Great Park, each fragrance is grounded in English fragrance heritage. 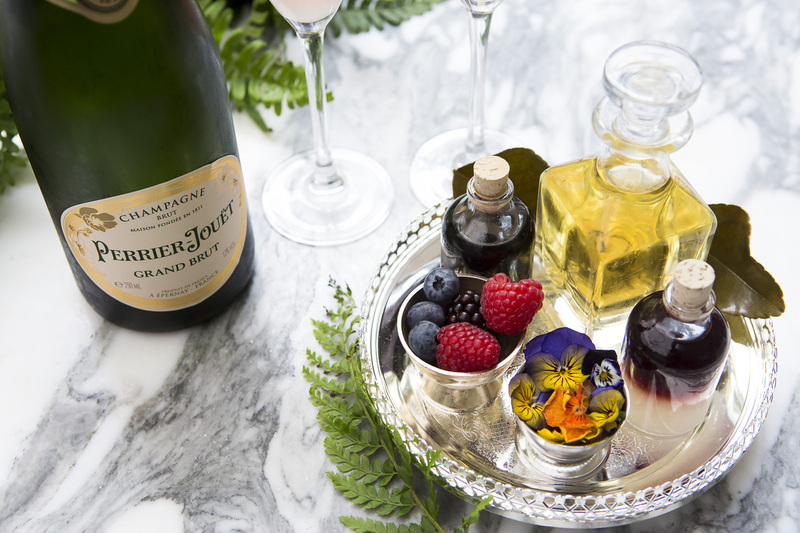 Ensuring the sensory journey does not end in room, each hotel has created a unique signature cocktail and Afternoon Tea heroing particular fragrance notes from its collection. Using key ingredients from Victorian baking, Castle Hotel Windsor’s afternoon tea features honey & orange delices and jasmine sponge cakes, whilst the signature cocktail playfully infuses jasmine and neroli within its serve. 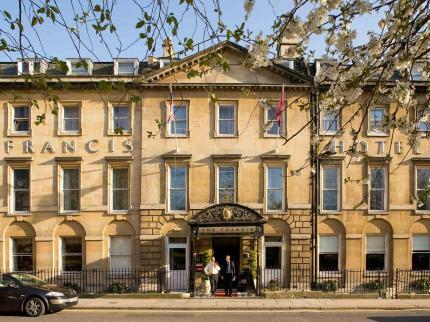 Paying homage to the assemblies and parties that took place, Francis Hotel Bath serves up the ‘Beau Nash’ cocktail, a serve inspired by the man who made Bath society fashionable. 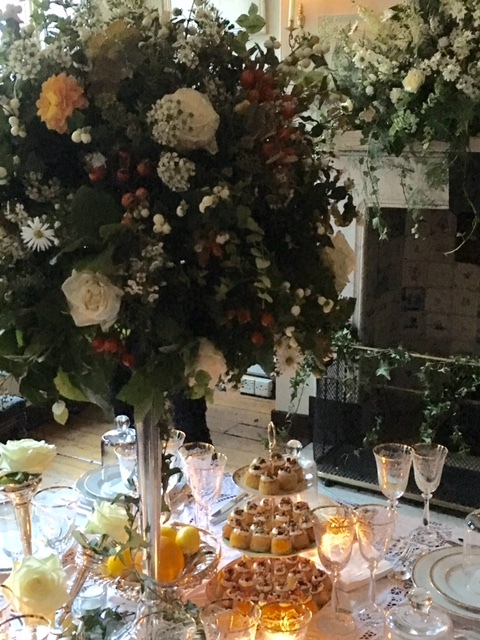 In addition, orange blossom & almond cakes and nutmeg shortbread make up the ‘Capillaire High Tea’, which celebrates the ubiquitous Orange Flower used in Regency England. Rosewater was a key and expensive scent used by fashionable women in Cheltenham as a refresher during an evening out. This inspired the ‘Rose Drop’ cocktail which infuses rose syrup with Jinzu Gin served at the famed Montpellier Bar at Queen’s Hotel. Gin sorbet and cinnamon biscuits make up the unique ‘Eau d’Ange Afternoon Tea’, named after a popular fragrant remedy in eighteenth century, referencing Cheltenham’s position as a leading spa town. In addition to the food & beverage experiences, each hotel will have a visual celebration of their unique fragrance collection via a stunning welcome floral display created by a local florist, consisting of floral notes found in their particular signature scents. Sensory Storytelling at MGallery by Sofitel is priced at £170.00 pp, which includes an overnight stay, room fragrance, a signature Sensory Storytelling cocktail and Afternoon Tea. 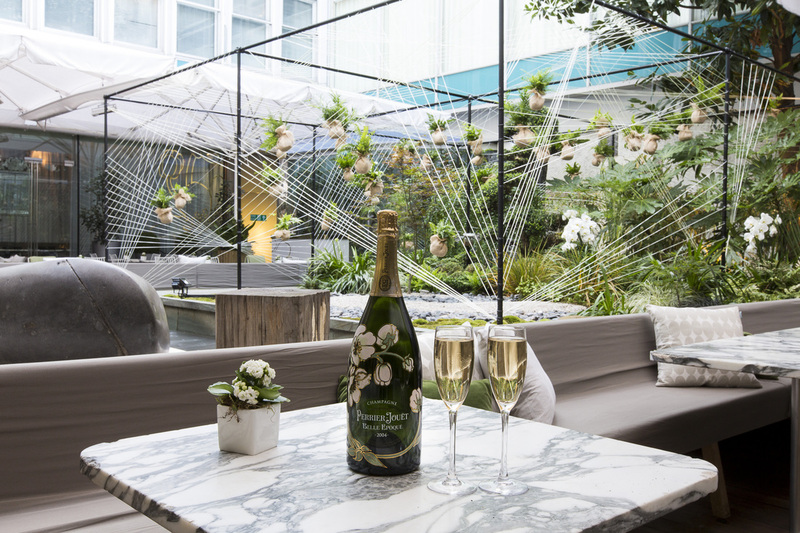 ​It has been a while since I've graced the terrace of the Sanderson Hotel, so I was excited at the prospect of seeing how they had transformed it for the launch of their Enchanted Hanging Garden. When we arrived, we were amazed by how some simple lighting and gorgeous flora and fauna displays and living walls really uplifted the space. 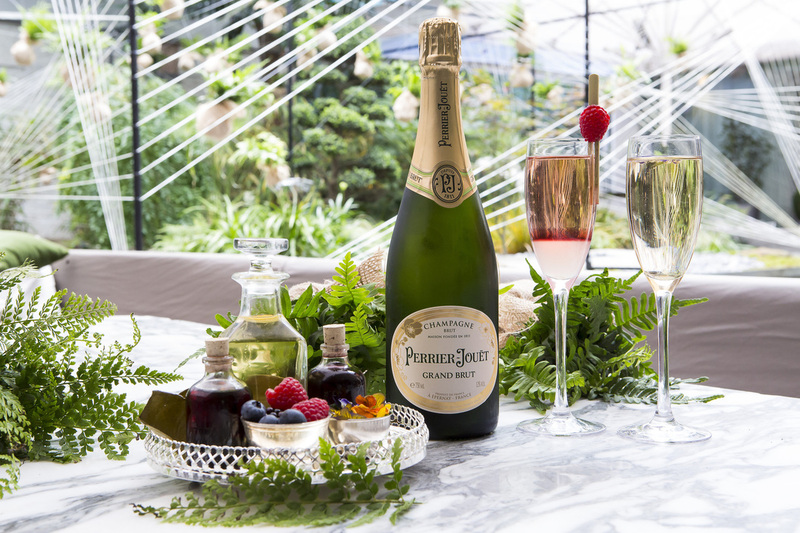 Given the partnership with Perrier-Jouët Champagne, we knew that fabulous champagne cocktails were going to be par for the course, and we weren't disappointed. A waiter provided us with a Champagne cocktail tray, bedecked with a variety of a handmade liqueurs and botanicals, so we could have a go at making our own bespoke cocktails. During our visit, we enjoyed the mixed berry liqueurs, pear and elderflower liqueurs, and the kaffir lime leaves and edible flowers. My favourite combination was the addition of kaffir lime leaves to the Champagne, which was very fragrant and although it reminded me a bit of green curry, it was gorgeous. To accompany our Champagne cocktails, we had a selection of tempura bell rock oysters with watermelon, coriander & mint; butternut squash risotto balls with cumin spiced mayonnaise; and salt baked beets with goat’s curd. ​If you're looking for a great place to have a stylish after-work cocktail in the West End, then we definitely recommend that you head here for a Champagne cocktail or two. The Enchanted Hanging Garden runs until Jan 2017. Wit​h the crowds of summer having subsided, autumn is an ideal time to visit Lake Como with temperatures hovering above 20C degrees and an abundance of delicious seasonal produce specific to Lombardy, including pumpkin pastas, truffles, porcini mushrooms, locally-produced taleggio and Bitto cheese and hearty soups and risottos. In celebration of this special time of the year, Grand Hotel Tremezzo is introducing a number of mouth-watering gourmet initiatives overseen by the hotel’s prestigious culinary team including Italian icon Gualtiero Marchesi and Executive Chef Osvaldo Presazzi. Guests will be able to enjoy cookery classes, wine tasting, vineyard tours, new seasonal menus and the local Tremezzina Gastronomic Festival. 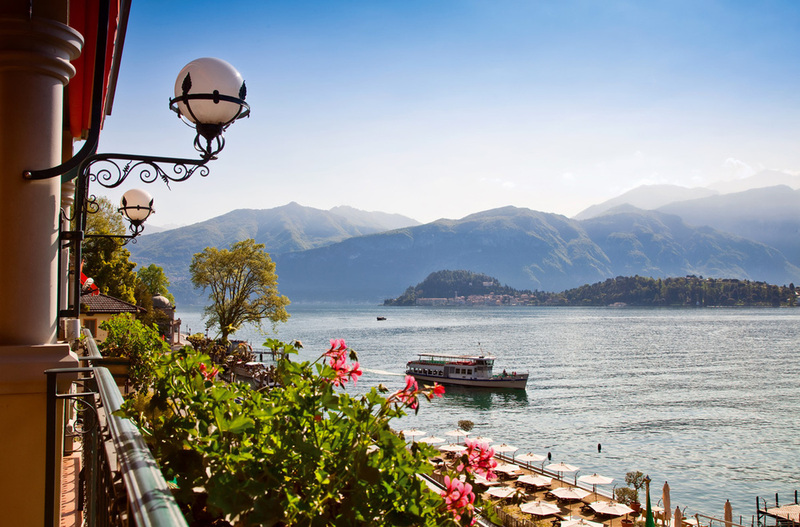 In keeping with the current popularity of foodie programmes including MasterChef and The Great British Bake Off, Grand Hotel Tremmezzo has launched its own culinary masterclasses where Executive Chef Osvaldo Presazzi will share his secrets to creating an authentic Italian feast. At the end of the two hour class, attendees will have perfected bruschetta with tomato and basil, Tagliatelle with fresh cherry tomato sauce, a traditional Cotoletta alla Milanese (breaded veal chop) and a decadent zabaione dessert, all of which will be enjoyed at the end of the class accompanied by a well-deserved glass of wine. 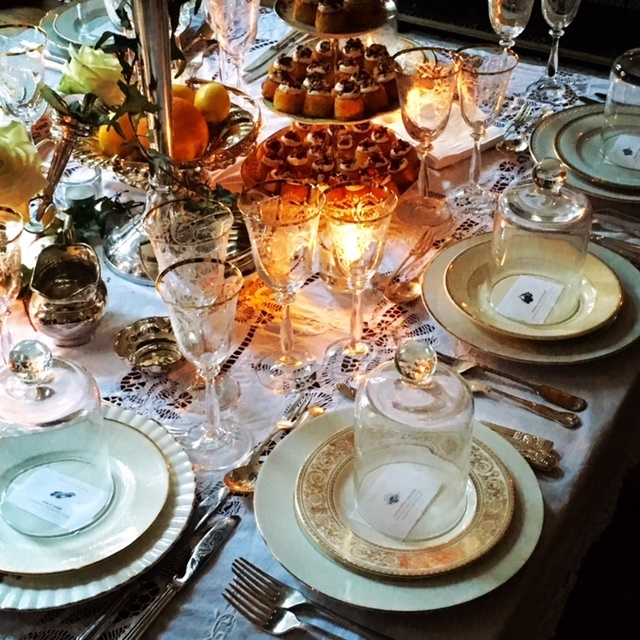 The classes cost €200 per person and include recipe cards to take home. Learn about the best local wines with a personalised wine tasting session with knowledgeable sommelier Alberto who will guide guests through an exquisite selection of wines in the elegant L’Escale wine bar, boasting over 300 Italian wines. Wines are accompanied by a delicious selection of canapes including local cold cuts, pickles, Parmigiano Reggiano and fresh spaghetti with tomatoes and basil. For those wishing to expand their knowledge even further, the concierge can arrange visits to exclusive vineyards in the neighbouring Valtellina, Piedmont and Veneto wine regions The visit includes an authentic lunch accompanied by their delicious wines. In celebration of the delectable seasonal produce, the hotel has introduced autumnal menus and dishes including the new T Pizza gourmet party and Sunset Beach Dinner dining concepts featuring a tasting board with a choice of four different gourmet pizza slices including mushroom; bresaola; Bitto cheese; sausage or vegetable confit; Gorgonzola cheese and nuts and pears; prawns tartare; truffle and spinach. Autumn also marks the annual Tremezzima Gastronomic Festival encouraging visitors to discover the many gastronomic delights of the region through their taste buds. The 60 day festival began on September 23 with many local restaurants and hotels participating throughout the festival period, showcasing authentic autumnal dishes. http://my.tremezzina.co/en/festival/taste-of-tremezzina/ . Keyonna Beach, the adults-only resort located on Turner’s Beach on Antigua's South-Western coastline,has an amazing epicurean treat in store for its guests. ​Andrew Michelin,owner of the resort, will be flying over a total of seven top UK chefs, to share their culinary expertise with the resort’s team of chefs. 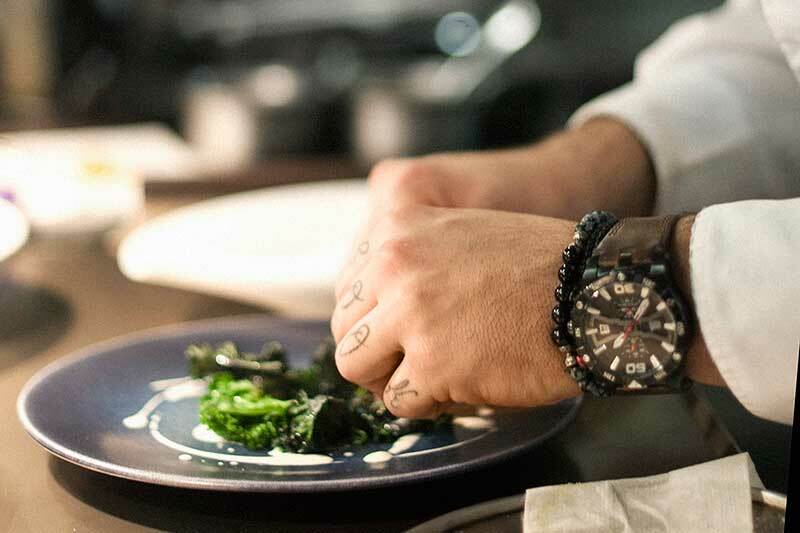 The programme set to commence later this month, will be staggered over a number of months, with guests having their meals prepared by chefs from a number of top Michelin-starred restaurants. Kicking off the initiative will be William Curley, the renowned Patissier and Chocolatier who will be leaving his Belgravia and Harrods boutiques to spend time training the chefs on how to create the amazing deserts he’s renowned for. Frederick Forester, who cut his teeth at Le Manoir aux Quat’ Saisons and Gordon Ramsay Restaurant L’ Aubergine and now currently head chef at Le Pont de la Tour in London, will follow. Although a stunning island, the reality is Antigua is a small island, skills are often in short supply, but what Antigua lacks in skills, it makes up for in enthusiasm, so Andrew came up with the idea of flying over a group of chefs that would help coach and give the team direction. Not trying to compete with the five-star resort model, Michelin’s Keyonna Beach is what he likes to call a pop-up boutique resort on the beach, oozing charm and personality warm, stylish and intimate, Keyonna Beach offers guests the ultimate Caribbean resort experience, but without the hefty five-star price-tag! 24 cottages and beachfront rooms provide spacious accommodation, all with magnificent beach settings, offering undisturbed privacy - ideal for the couples to relax and unwind. While in addition to the most romantic of settings, intuitive staff caters to every whim, ensuring a simply unforgettable holiday from beginning to end. Prices start from US$288 (£187) per night for a Beach House Room; a Cottage from US$356 (£231), or Beachfront Plunge Pool Cottage US$488 (£317) All prices are based on double occupancy and include all meals and alcoholic beverages per night. Umaid Bhawan Palace, Jodhpur has been named as the Best Hotel in the World by the world’s largest travel site, TripAdvisor, in their annual Travellers’ Choice Awards. It is the first time that an Indian hotel has been named best in the world. 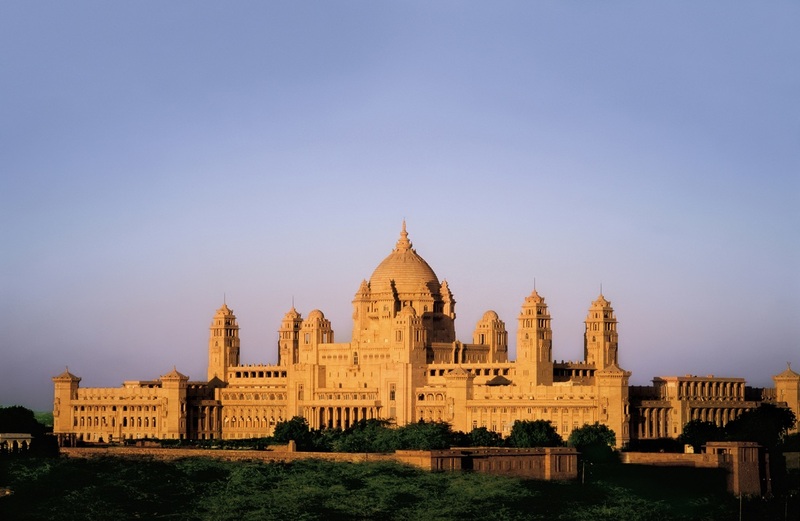 Umaid Bhawan Palace, Jodhpur also ranked high on the lists of Top 25 Hotels in Asia and India. Perched high above the desert capital of Jodhpur, Umaid Bhawan Palace, the last of India’s great palaces, was also one of the largest royal residences in the world when it opened its gilded doors in 1943. Designed by the well-known Edwardian architect, Henry Vaughan Lanchester, Umaid Bhawan Palace is perhaps one of the largest and best-preserved showcases of the Art Deco style, built entirely in golden yellow sandstone. This splendid palace has a private museum, its own post office and an elegant wood-panelled library. The palace also offers recreational facilities such as an indoor swimming pool, a billiards room, four tennis courts, two unique marble-floored squash courts and fifteen acres of gardens. Guests can stroll through the private museum, dine in the candlelit palace grounds or put their skills to the test on the marbled squash courts. Venturing out beyond the palace gates, visitors have the option to explore the city in a vintage car drive accompanied by their royal butler or go further afield to dine under the starry night sky in the Thar Desert. Taj Hotels Resorts & Palaces and Paranjape Schemes (Construction) Ltd today announced the opening of The Gateway Hotel Hinjawadi Pune. This is the first Gateway branded hotel in the city of Pune. PSC Pacific, a Paranjape Schemes (Construction) Ltd. venture owns this property, which is operated by Taj Hotels Resorts and Palaces. The contemporary Gateway Hotel Hinjawadi Pune features 150 spacious rooms (including six suites). Guests can indulge in a variety of dining and drinking options within the property. Restaurant options include Buzz, an all-day diner that features a cosmopolitan mix of international cuisine and authentic regional home-style delicacies, and Sian, which offers contemporary Chinese and Thai cuisine. For guests who wish to imbibe, they can enjoy a cocktail at Swirl, the cocktail lounge. “The launch of The Gateway Hotel Hinjawadi Pune is a significant milestone as we foray into the hospitality industry. We are delighted to partner with the Taj Group." Gateway Hotel Hinjawadi Pune is conveniently located in the heart of the Information Technology Corridor of Pune and off the Pune - Mumbai Highway. The hotel is easily accessible from the industrial areas of PCMC, Talegaon and is 45 minutes away from Chakan MIDC. Here you'll find the latest lifestyle news to help you live deliciously.